The Dorset flag was flying high again for the 38th National Hedgelaying Championships, this year held in Aldford, Cheshire. Seven competitors from Dorset made the long drive to the hotel, to be greeted in the morning with perfect hedging weather of an autumnal chill and sunshine. A total of 106 competitors took part in 14 classes showcasing 10 regional styles. They were faced with a hedge made up of mainly hawthorn and blackthorn, very brittle wood to work with so needed to be handled carefully. At 9am the horn was sounded to mark the start of the competition and the five hours cutting time soon passed. The national competition takes in all counties from Devon and Dorset to Yorkshire and Lancashire & Westmorland with 1000 metres of hedge being cut, pleached, staked, bound and crooked for the purpose of stock proofing and rejuvenation. The styles vary depending on the traditional stock, for example the high Midlands bullock hedge to the 2.6-3ft finish of the Dorset lowland sheep farmers, found on a bank. The judges mark each hedge on a points system, and with the excellent examples, it can be the finer points of neatness and uniformity of cutting, straightness of the line of the finished hedge and general appearance making the difference between placings. Whilst the deliberations took place a great raffle was held. 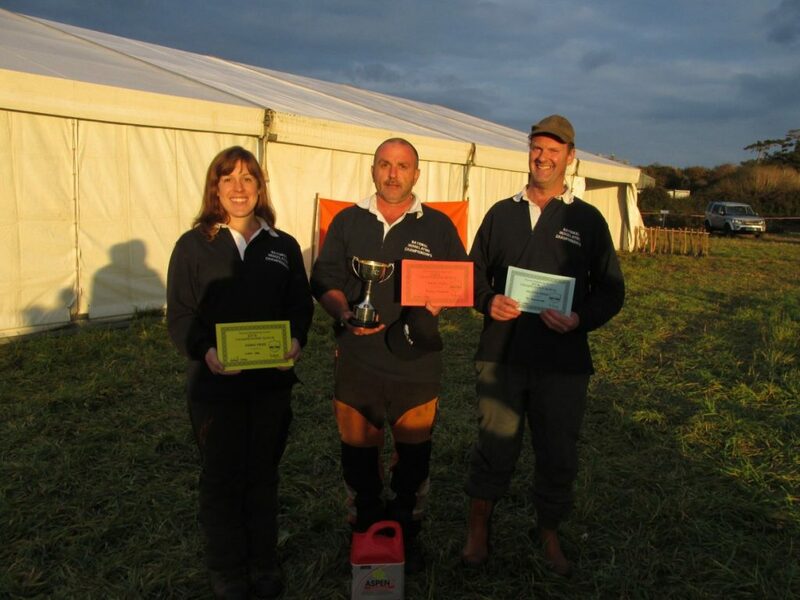 The accolade of Supreme Champion went to Alan Ashby, from Kent, cutting in the Midlands Veteran class. If you would like to know more about hedgelaying in Dorset, or have a go yourself, contact Russell at info@dorset-hedgelayer.co.uk. Anyone interested in sponsoring the Dorset team in future National Championships, also contact Russell.